Commissioned by the Minnesota Sinfonia, Polechka is part of the orchestra’s “Minnesota Composers’ Call for Scores,” supported by McKnight Foundation. Thinking about an idea of music I was asked to write, I remembered a time many years ago when I was the music director for a dance company. I composed lots of music for it, and among those were several dances that were built on the character of the Polka. What is Polka? For me, it is lots of energy, lots of humor, smiles, unforgettable impressions and lots of happiness. I wanted to express these same sentiments in this work, Polechka. In English, it means Little Polka. Polechka begins with a little sweet smile and, by the end, it becomes a very powerful composition that will bring lots of joy and happiness. My credo as a composer: “music should reflect the beauty of our life.” This is what I tried to show in this composition, Polechka. Joachim Stutschewsky was born in the Ukraine, and like so many of his Jewish contemporaries, he lived in many countries. In 1938, fleeing the Nazis, he eventually moved to, and settled in, Palestine. He trained as a cellist in Leipzig. In 1924, along with Rudolf Kolisch, he formed the famous Vienna String Quartet. Quite adventurous, the Quartet was responsible for premiering new works by Arnold Schoenburg and other contemporary composers. Stutschewsky’s early compositions followed in the same vein as Schoenberg, Berg and other “avant-garde” composers. But in 1939, after becoming inspector of music in the cultural section of the Jewish National Council, his composing began to incorporate Sephardic (Spanish), Ashkenazi (German East European), and Yemenite Jewish folk elements. Starting in the 1950s he dedicated his time and efforts almost exclusively to composing. Hassidim are a small, but very religious, Jewish sect. They are probably best known (certainly recognized) for their all black attire: the men wearing fur and/or fedora black hats, specially knotted tzitzis (tassels/fringes), having beards, and long sideburns that often curl. I do not know if the four movements of the Hassidic Suite are taken directly from Hassidic music, or if the title is simply meant to suggest an association. 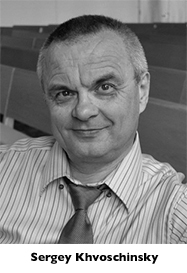 The first movement is a Bessarabic song (Bessarabia originally was part of Moldava and the Ukraine). The second movement is for solo cello, and I don’t know of its association. The third and fourth movements are ”typical” melodies and dances that are familiar in Jewish music and culture. David Popper was a Jewish cellist (his father was a cantor in the synagogue) who was a highly respected composer, soloist, chamber musician and teacher. He was considered one of the best cellists of his time, and performed with several notable contemporaries, including Clara Schumann (widow of the famed composer Robert), and Johaness Brahms, with whom he premiered that composer’s third piano trio. 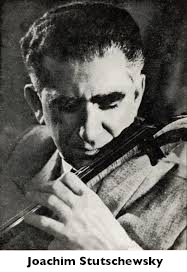 Popper had an impressive list of solo compositions, most of which were written for cello: some with piano accompaniment and others with orchestra. His output included four cello concertos, a Requiem for three cellos and orchestra, several show pieces, dances, and even some songs. He also composed cadenzas for several famous concertos, including those by St. Saëns, Haydn and Schumann. In 1896, he accepted the position of professor of cello at the Liszt Academy in Budapest, where he remained until his death. He had several remarkable students, including Adolf Schiffer, who later taught Janos Starker, who became one of the most important cello soloists and teachers during the end of the last century. Today he is probably best known to cello students for his etudes (studies for students to learn to play the cello), and his Hungarian Rhapsody, which is heard on this set of performances. Composed in 1880 and published in 1881, the Kol Nidrei (means “All Vows”) is a solo setting for cello and orchestra based on two Jewish themes. The first is from the prayer that is sung by the cantor on the evening of Yom Kippur, the Jewish Day of Atonement, which is arguably the holiest of all Jewish holidays. The second theme, also of Jewish origin, was from a set of arrangements of old Jewish synagogue melodies by Isaac Nathan. For some of the settings, Nathan asked Lord Byron to write poetry that he then set to the melodies. “O Weep for Those that Wept on Babel’s Stream,” which was part Byron’s collection and Nathan’s arrangements, was incorporated by Bruch for the Kol Nidrei. 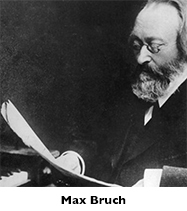 Max Bruch was not Jewish, in fact he was Protestant, but he took an interest in Jewish music when he became friends with the chief cantor of Berlin, Jacob Lichtenstein. 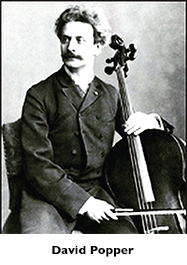 Bruch did not intend to create a synagogue service or Jewish prayer, but rather to compose a rhapsody for cello with beautiful and meaningful melodies. In that respect, he succeeded admirably. “Yizkor” is Jewish prayer for remembering those who have died, and is recited at special Jewish holidays and on the anniversary of the person’s death. My mother, Dorothy Fishman Jacobs died this past year at the age of 95. She had a full and adventurous life, first living through the Great Depression, then later expecting to join my father Bernie, who was an oboist with the Minneapolis Symphony, to play flute in that orchestra. But then my brothers and I came onto the scene, dashing her hopes of a symphony career, but instead led to a life of teaching flute and raising three boys. Her life encompassed many joys: family bar and bat mitzvahs, weddings, helping me to build first the old Minneapolis Chamber Symphony, and then later the Sinfonia; and sorrow (my father died in 1960 from cancer at the age of 37). But through it all, she had an indomitable spirit and energy that persevered and permeated all of her undertakings. After she died, even though we all knew that her time had come, I felt traumatized. Mom was the last living relative of her generation, and I knew that we as a family had not only lost our matriarch, but we also would undergo a difficult transition. I coped in the only way that I could—I decided to compose a memorial piece. For over 40 years, Mom, her sister Rosalyn Locketz, and family friend Fanny Brudnoy, played in a trio that performed for countless weddings, bar mitzvahs, and other happy occasions. One of her favorite pieces was Daber Elay Bifrachim (“Speak to Me with Flowers”), and the trio played this piece scores and scores of times. I decided to take the first three notes of the song, and build a piece around this motif. As I wrote the music, I knew that I wanted to highlight both the flute and the oboe, and decided that the most fitting way was to end the piece not only with the Daber motif, but also to feature the flute and oboe as soloists, both being accompanied by a string quartet. And that is how I conceived my Yizkor for Mom. 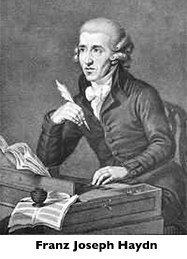 Franz Joseph Haydn (born in Lower Austria in 1732, and died in Vienna in 1809) is commonly known as the “Father of the Classical Symphony.” Because he had the luxury of consistent financial security, and the opportunity to work with quality musicians over a long period of time, he was able to develop slowly and methodically as a composer and craftsman. Haydn spent the years of 1761 to 1790 in the employ of Esterházy family – first with Paul Anton, and after his death, his brother Prince Nikolaus. Nikolaus (who had the longer tenure) loved music, and was very supportive of Haydn and his efforts. Nikolaus employed excellent musicians and singers, which gave Haydn a marvelous laboratory to develop and sharpen his compositional skills. The Esterházy estate, which was described by a French traveler as “having no place but Versailles to compare with for magnificence,” became a center for excellent music making and productions. At first Haydn’s orchestra was small (his early symphonies generally used few winds and a small string compliment), but over time the size of the orchestra grew, as did the proficiency of its players. Haydn’s composing mirrored these changes. The complexities and the lengths of his symphonies increased, and he made more technical demands on his players. 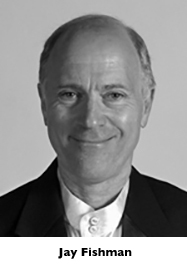 Over this time frame, the typical four movement classical symphony format became formalized, largely because of the development of his compositions. Haydn’s fame spread across Europe, and after the death of his patron Prince Nikolaus, he was very much in demand. He was brought to England by the impresario Johann Peter Salomon, who commissioned him to compose two sets of six symphonies. These 12 symphonies (numbers 92-104), which are referred to as the London Symphonies, or the Salomon Symphonies are considered to be the pinnacle of the classical symphonic form, and the best of Haydn’s enormous symphonic output. Many of these symphonies have nicknames, somehow related to the musical content. Examples include the Surprise because of the sudden loud noises in the slow movement, or the Drumroll because of the opening roll in the timpani. Other symphonies have specific associations, such as the Oxford, because Haydn was awarded an honorary doctorate at one of the town’s universities, or the Clock because of the constant “ticking” sound of the regular rhythm in the second movement. Titles on symphonies were also good marketing tools. An excellent case in point is the Miracle symphony – number 96, which is heard on this set of performances. Stories (rumors) circulated that during the premiere of this work, a chandelier crashed from the ceiling to the floor of the concert hall. Fortunately, before the crash, the audience had rushed to the stage to see the famous composer, so no one was hurt by the falling fixture. The lack of injuries was called a “miracle,” which led to the nickname. Although this is a great story, reality tells a different tale. According to historical records, a chandelier did fall during a concert, and no one was injured. But it was during the premiere of Haydn’s symphony number 102, not 96. So even though the numbers did not work, the story stuck, the nickname caught on, and to this day it has been associated with the wrong symphony.